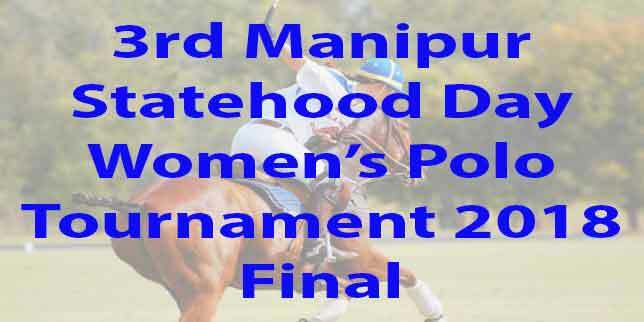 Imphal, Jan 19, 2018: USA and Kenya will clash in the final of the 3rd Manipur Statehood Day Women’s Polo Tournament 2018 organised by All Manipur Polo Association (IPA) at Mapal Kangjeibung, the polo ground in Imphal city of Manipur where Polo originated. USA team today beat Australia by 3-2 goals to move into the final. In another league match Kenya beat Indian Polo Association by 9-3 goals. Kenya finished the league on top with 6 points while USA got 4 points, Australia with 3 point, Manipur Thangjing with 3 point, Manipur Marjing with 1 point and IPA remain at the bottom without a win.